Joanna Hope Embellished Skinny Jeans is rated 1.0 out of 5 by 1. Joanna Hope – exclusive to us. 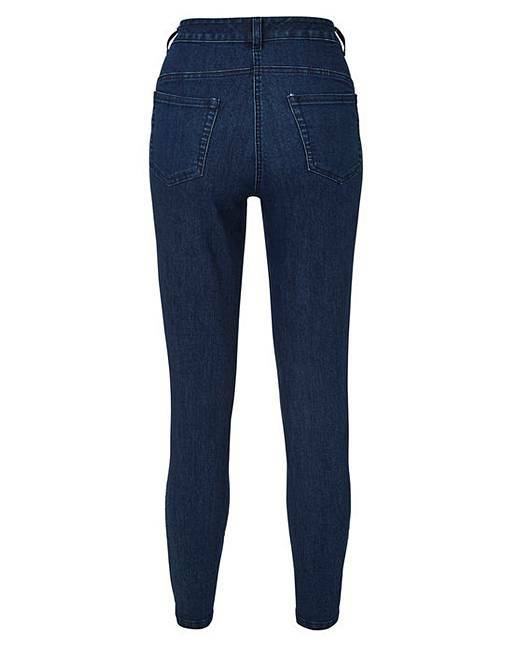 The skinny perfect jean, these are slim fit in a stonewash with added stretch for a great fit. 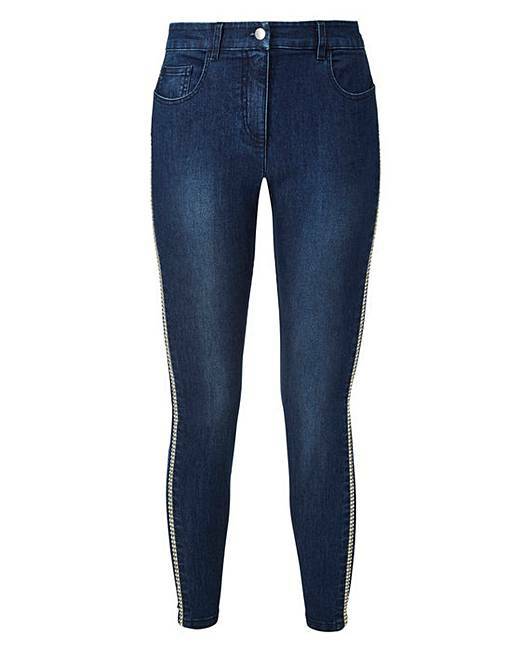 The leg is embellished with a stylish diamante trim, and they come with a button and zip front fastening. Rated 1 out of 5 by Joy57 from Disappointed Unfortunately I had to send these jeans back as the sparkly decoration in the pictures online did not match the item and the photos also do not show the part-elasticted waist band, which I don't like. The fabric is poor quality so I had no hesitation in returning them. Very disappointed.